What is a California Boater Card? The California Boater Card shows that its holder has successfully taken an approved boating safety course and passed the corresponding exam. Where did the idea of a California Boater Card come from? Legislative bills requiring some form of boating education in the state have been authored over the years. On Sept. 18, 2014, Governor Edmund G. Brown, Jr. signed into law Senate Bill 941, which prohibits the operation of motorized vessels in California without a valid operator card developed and issued by the Division of Boating and Waterways. What are the benefits of taking a boater safety course? Not only is mandatory education the law, the California Boater Card Program promotes boating safety on our waterways. U. S. Coast Guard accident data show that states with some form of boating safety education have fewer accidents and fatalities than states without any boater education requirements. In 2016, more than 800 California recreational vessels were involved in reported accidents, resulting in 50 deaths. More than 266 were injured in severity beyond first aid treatment. Only one of the boat operators involved in fatal accidents had taken an approved boating safety course. Increased numbers of boaters taking approved safety courses will benefit all California boaters. When can I apply for my California Boater Card and what will it cost? You can apply now at www.CaliforniaBoaterCard.com. The lifetime card fee will be $10. The lost card replacement fee will be $5. By law, the California Boater Card fee can only cover the cost of the program. California State Parks Division of Boating and Waterways cannot generate any profit from the card. How do I apply for a California Boater Card? Instructions on how to apply for your California Boater Card are found at www.CaliforniaBoaterCard.com/applynow/. As of the dates shown below, these boaters will be required to carry a boater card issued by DBW, unless they meet certain exemptions. * While this statute takes effect on January 1, 2018, DBW is in the process of promulgating regulations. Pending the adoption of the regulations, DBW will continue its education and outreach efforts regarding the California Boater Card Program. When can a person operate a boat without a Boater Card? California age restrictions for operating a motorized vessel: According to California Harbors and Navigation Code Section 658.5, NO person under 16 years of age may operate a boat with a motor of more than 15 horsepower, except for a sailboat that does not exceed 30 feet in length or a dinghy used directly between a moored boat and the shore (or between two moored boats). The law allows children 12-15 years of age to operate boats with a motor of more than 15 horsepower or sailboats over 30 feet if supervised on board by an adult at least 18 years of age who is in possession of a California Boater Card as required by California law. Boat operators ages 16 or 17 who are not in possession of a California Boater Card, my operate a vessel if supervised by an adult at least 18 years of age who is in possession of a California Boater Card. Violating these provisions constitutes an infraction. What courses are approved in California, and how will I find them? Boating safety courses must be approved by the National Association of State Boating Law Administrators (NASBLA) and DBW. The courses may be classroom, home study or online. A Spanish language course, Curso de Navegación, is offered by the U.S. Power Squadrons. The current list of approved courses can be found online at www.CaliforniaBoaterCard.com. How much time will it take to complete an approved boating safety course including the exam? Approved online courses run a minimum of three hours to complete. Classroom and home study courses vary in length, with most classes no more than eight hours. Am I pre-qualified for a Boater Card if I have already taken a boater education course? In 2018, DBW accepted proof of passing an approved course taken between Jan. 1, 2015 – Dec. 31, 2017. As of Jan. 1, 2019, DBW will only accept proof of passing approved boater education courses taken since Jan. 1, 2018. Older courses may not include recent state or national changes to navigation law. My boat is documented with the United States Coast Guard and not registered by the DMV. Do I need to get a California Boater Card? All operators of motorized vessels, documented and undocumented, will need to have a California Boater Card to operate on state waterways. I am a California resident, but I boat outside of California. Do I need a California Boater Card? If you boat outside of California, please contact that region’s boating law administrator or harbor master to find out all requirements before going out on the water. I am a California resident and I have a Boater Card from another state or country; do I need to have a California Boater Card? Do I need a California Boater Card if I am boating on a state-shared waterway (ex: Colorado River, Lake Havasu, Lake Tahoe)? If California is your primary place of residency, you will need a California Boater Card. If your boat is registered in a different state and your primary place of residency is California, you will still need a California Boater Card. Vacation homes do not count as a primary place of residency. State-shared waterways are patrolled and enforced by joint law enforcement agencies. Who is exempt from needing a Boater Card? A person operating a rental vessel. A person operating a vessel while under the direct supervision of a person 18 years of age or older who is in possession of a California Boater Card. A person who is a resident of a state other than California who is temporarily operating a vessel in California for less than 60 days and meets the boating requirements, if any, of his/her state. A person who is a resident of a country other than the United States who is temporarily operating a vessel in California for less than 90 days and meets the boating requirements, if any, of his/her country. A person operating a vessel in an organized regatta or vessel race, or water ski race. A person who is in possession of a current commercial fishing license. A person who is in possession of a valid marine operator license, for the waters upon which the licensee is operating, issued by the United States Coast Guard, or who is in possession of a valid certificate issued pursuant to the International Convention on Standards of Training, Certification and Watchkeeping for Seafarers, 1978, as amended. A person who has successfully completed a boating course approved by the Commission on Peace Officer Standards and Training Post. What if I meet one of the exemptions but still want to get my California Boater Card? If you still want to get your California Boater Card, you will have to complete one of the approved courses, pass the corresponding exam, and apply for your California Boater Card. Meeting one of the exemptions does not count towards the educational requirement. If I meet one of the exemptions, how do I show proof if I am stopped by law enforcement? If you meet one of the exemptions, you will need to carry proof of exemption while operating at any time on state waterways. Which licenses issued by the United States Coast Guard are accepted as a form of exemption? Which Peace Officer Standards and Training courses are approved as a form of exemption? Why aren’t people who rent motorboats in California required to have a Boater Card? 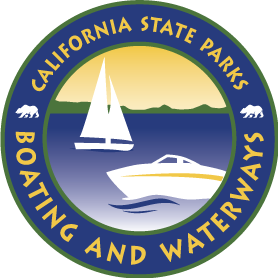 California State Parks Division of Boating and Waterways (DBW) is implementing the California Vessel Operator Card law as it is written. Many rental facilities provide basic boater safety information to operators. DBW encourages all boat operators to take an approved boating safety course and apply for a California Boater Card. The requirement for California boaters to obtain this card happened through the state legislative process. The bill that created the California Boater Card, SB 941 (Chapter 433, Statutes of 2014), went through a number of changes as it moved through the California Legislature. According to 2013 California Recreational Boating Accident Statistics, of all the vessel accidents that occurred in the state that year, only 9% involved rental vessels. The boating industry indicated that rental agents generally provide boater safety training as part of the rental process. The author accepted this recommended amendment, and on June 18, 2014 the next version of the bill provided an exemption for individuals renting vessels. Is there a fine for violating the requirement to carry a California Boater Card? For an initial conviction, by a fine of not more than $100. For a second conviction, by a fine of not more than $250. For a third or subsequent conviction, by a fine of not more $500. A fine imposed on a vessel operator pursuant to subdivision (b) shall be waived, if the vessel operator provides proof that he or she had a valid vessel operator card at the time of the citation. In addition to the fines imposed by subdivision (b), the court shall order a person convicted of violating this article to complete and pass a boating safety course approved by the division pursuant to Section 668.3. If a person who is ordered to complete and pass a boating safety course pursuant to paragraph (1) is 18 years of age or younger, the court may require that person to obtain the consent of a parent or guardian to enroll in that course. A person who has been ordered by a court to complete a boating safety course pursuant to paragraph (1) shall submit to the court proof of completion and passage of the course within seven months of the date of his or her conviction. The proof shall be in a form that has been approved by the division and that is capable of being submitted to the court or a state or local agency approved by the division through the US Postal Service or another certified means of transmission. How did DBW determine the cost of the California Boater Card? Senate Bill 941 required DBW to establish and consult with a Technical Advisory Group (TAG) in determining the cost of the card. By law, the California Boater Card fee can only cover the cost of the program. California State Parks Division of Boating and Waterways cannot generate any profit from the card. Who are the members of the Technical Advisory Group (TAG)? The Technical Advisory Group members include interested persons from boating organizations, marine law enforcement and boating safety educators. Members were appointed by the California State Parks Director.